Integrated facility management refers to the strategic management of a property, the accompanying systems and services that are not a part of the core business of the owner/user, including the overall provision of services for equipment infrastructure and administration. Our core areas of expertise specifically include technical and infrastructural facility management services, much of which are handled in-house. We consider it our duty to operate a building using innovative facility management while taking into account aspects of convenience, technology, architecture, safety and cost for the user. As building operators, we can offer a valuable contribution to the value retention of your property, with the greatest possible consideration for sustainability. We serve our customers as a full-service provider with a comprehensive portfolio of services. The synergies that come out of this are a win-win that lead to benefits for the customer. The established, specialized knowledge of our highly skilled, fully trained employees—already serving two million m2 of building floor space and the trend is rising—guarantees satisfied customers. Efficient, clear facility structures adapted to your organization support the success of your business areas. Consultation, drafting and implementation of optimal facility structures are part of our core business. Cost and energy efficiency in operations and legal compliance are central to modern facility organization. We offer you consultation throughout the entire building life cycle, from facility planning to modernization of your property. Profitability analyses and operating costs are generated individually with the support of an extensive benchmark database. Do you need FM support in the planning phase up to implementation? Trust our FM experts. We create a facility requirements catalog for building planning. We oversee, support and review the compliance of the design with regard to smooth operation. In the transfer phase, we perform extensive testing and trial operations, which allows defects to be revealed immediately. Over its entire life cycle, the construction costs of a building amount to only about 30% of the overall costs. Through careful planning and expert implementation, we can save money in the ongoing operation of a building and ensure value retention for your property. We offer you professional support from the perspective of the building owner or user, helping you optimize your operating costs over the long term. We are experts in the operation and maintenance of building and construction-related and user-specific systems. Ongoing optimization measures and improvement suggestions equip us to ensure efficient operating processes in your properties. Compliance with legal provisions takes top priority here. However, technical facility management is more than that—it includes system maintenance, inspection, repair and 24-hour service availability. Over the course of operation, we view each property as an overall unit that requires individualized support. Are low, traceable life cycle costs and value retention for your property important to you? We offer customized support services and creative solutions coordinated to your specific needs. Trust the specialized knowledge of our experts. We are on the spot, wherever our customers need us. Across Austria, our branches ensure optimal cross-country support and quick response times with our mobile service team. Our mobile service has the most up-to-date networked digital devices, which guarantee you prompt and seamless order documentation. All information is immediately available, ensuring fast assignment of work tasks. Our service employees are familiar with your locations and systems and make on-time and high-quality order fulfillment possible. Technicians bring along replacement parts relevant for operation in their vehicles, which guarantees high system availability. Our core areas of expertise include maintenance cleaning, special cleaning and external system care for your building. Our specialists know exactly what to consider for each cleaning request and ensure a proper, lasting cleaning result of high quality. 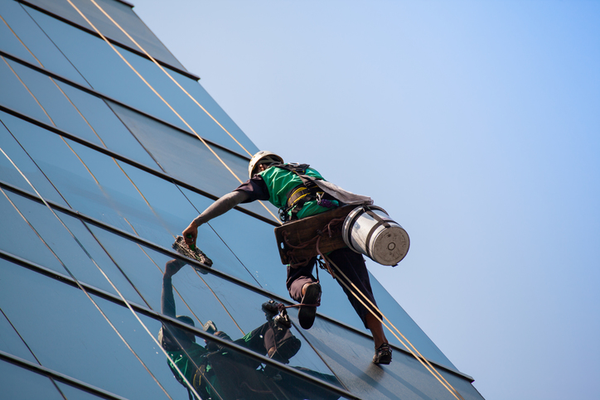 We also coordinate your facade cleaning as well as security and safety services such as concierge, guard or snow clearing services, performed by longtime, reliable partner companies. The right cleaning process for work spaces—especially in areas where a large number of people gather together—is an important, high-responsibility task, which we gladly take on. A well-polished space communicates a prosperous, positive image for your company. Compliance with hygienic standards, however, is even more important for us in order to ensure the health and wellness of your employees. We adjust our service to your individual needs. Modern work methods and flexible service provision ensure that you get a cost-conscious, tailor-made result. Put your trust in the expertise of our experienced professionals, who clean and protect your properties and facilities and keep every aspect of your building in top shape. In addition to our maintenance cleaning professionals, we have a highly specialized team in charge of the cleanliness and security of your server rooms. Our specialists plan out the necessary standardized work processes step-by-step for you and ensure that the full operation of your computing center goes smoothly. Our years of experience and professional, reliable order fulfillment ensure total security and absolute cleanliness, enabling effective data center operation as a result. Is environmental protection important to you? Our experts use energy management to ensure efficient and sustainable building operation. Savings potential is found using energy analysis. This potential is then analyzed in terms of cost advantages and suggested for implementation. Energy consumption is monitored and controlled using state-of-the-art software tools, which allow for actions to be taken quickly and transparently. Introducing energy management systems, auditing and offering consultation during the construction and set-up phase ensures low resource consumption and cost savings along with it. but quality is more than just a buzzword for us. We view our employees as our biggest business asset. Their safety and happiness takes first priority for us. We take the appropriate preventive measures to ensure a healthy workplace. Our code of conduct ensures adherence to ethical values and we are aware of our responsibility to uphold these values. Satisfied customers are our primary goal and excellent service quality is the basis of our everyday work. Distributing and evaluating regular customer surveys ensures that we continue our improvement process. We are dedicated to quality assurance and to environmentally sustainable practices. We consider protecting the environment and saving energy to be a challenge for which it is worth devoting resources. Ongoing training and advanced training offers, the performance of internal and external audits, reputable references, transparent communication, flat hierarchies and, as a result, short decision paths are just a few of the many unique selling propositions we provide to you. Adherence to legal regulations in building operation is at the core of our business. We offer you personal consultation and support on using your property, e.g. business, office, residence or research facility, to ensure that building operations are legally secure and documented. We do not leave anything up to chance in this process. Therefore, our experienced specialists are supported by an electronic database that is continually updated. We use CAFM systems to support you in managing your building. Our experts have extensive experience with implementing and routinely handling market-leading CAFM programs. Benefit from having a single system. We integrate all relevant system data for your property into one system. As a result, it is easier for you to stay updated. Digitally recording all building-related data allows key figures to be determined very quickly. These figures can then be used to optimize a building's operation and organization. Paperless order fulfillment means that we can guarantee quick and sustainable provision of information. We plan, finance, set up and operate your technical facilities. Whether it is contracting for facilities or energy, our specialists make customized solutions a reality. We modernize your systems, ensuring efficient and safe operation. 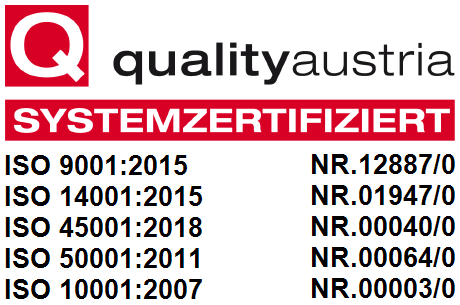 Reliability and safety guarantee you the outstanding economic security of our corporate group. The right place to park. We work around the clock to ensure safe and clean garage operation. 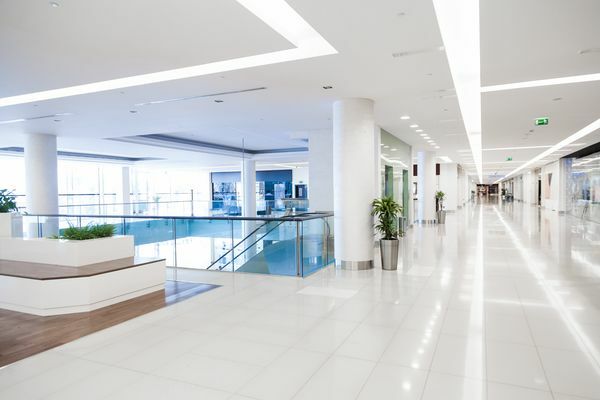 From cleaning to technical facility management and a 24-hour control center to parking facility management—we guarantee both maximum convenience and economically efficient operation for your floor space. We are happy to take over commercial management for your garages, ensuring an all-inclusive, carefree package for you.